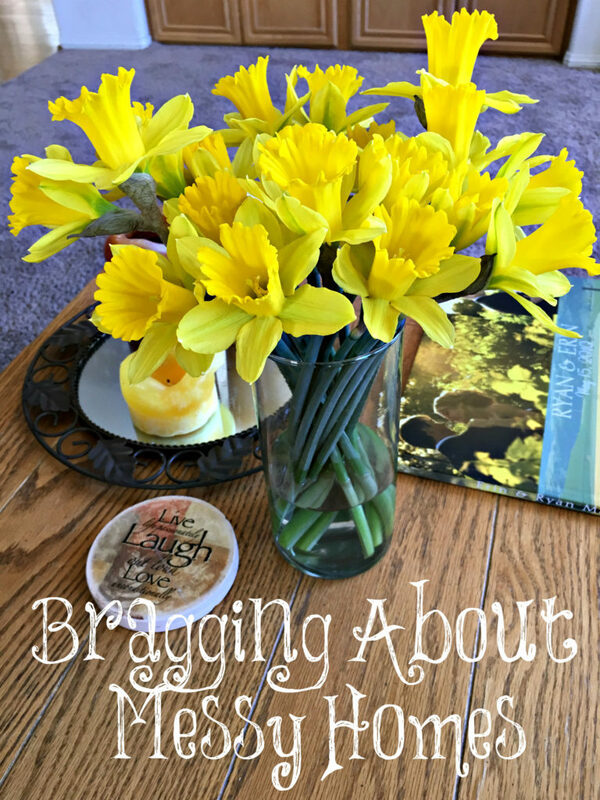 Women brag about messy homes today because they have “more important” things to do. They need “me time” and time to pursue their hobbies. They need to play with their children often and take them many places for different experiences while neglecting their home duties. It’s so easy though to follow something like this Clean Home Guide, so I don’t understand why young women struggle. Having a clean home has many benefits for people, you could even hire cleaners if you are really struggling and at least this means that you will get a healthy home. These are all considered badges of honor and praised. I see it consistently in younger women while having a clean and tidy home is mocked, as if it’s not important. God thinks it’s important. This is why He commands that women be “keepers at home” and work hard in their home by NOT eating the bread of idleness. Even if women find themselves simply too busy to clean the house by themselves, there are plenty of cleaning services such as handy.com that will happily keep the home clean, even if the home’s keeper is too important for God. God is a God of beauty and order and our homes should reflect this, women. “Order and usefulness and purpose bring satisfaction, but God desired that there should be beauty in His work” (A.W. Tozer). Way too many women have no idea how to keep clean and tidy homes anymore. My best friend’s home was always clean and tidy despite being a widow with three active young sons to care for. She cleaned as she went and worked hard at home. I never heard her talk about “me time” or her hobbies. She knew her ministry was in her home and with her sons. She wanted them to grow up in a calm and beautiful environment. Clean homes are beautiful, even if they are not expensive homes. Katie Schuermann wrote an article called 10 Reasons I Still Keep a Clean Home Despite Everyone Insisting It’s Stupid. And of course they do because we, as a culture, have drifted so far away from God’s principles. “In an age when messes are touted as holy and clutter is extolled as the sign of productive genius, I find myself embarrassed by my organized closets and clean countertops. Who but a self-conceited nelly would bother folding dish towels before putting them in the drawer? Only a petty dolt would routinely organize her pantry, right? And what kind of cold-hearted woman asks her children to make their beds before breakfast? Her mother taught her to be clean and tidy. My mother did the same thing. Every Saturday morning, she had a list of chores she expected us to finish and I remember many Saturdays out in the yard weeding. Once she broke her leg badly and had to be in a large cast for several months, so we had to all pitch in and help a lot. Now, when my grandchildren come over, I insist they clean up all of their messes before I take them home. They made the mess, they clean it up. Clean homes are more peaceful. Cluttered homes mean cluttered minds. Declutter your homes! It’s almost impossible to keep a home clean and tidy with a lot of clutter. My oldest daughter has moved a lot in her six years of marriage but they both like it because it keeps them from gathering too much junk. They are ruthless when it comes to decluttering. They love to have a home that is clean, tidy, and uncluttered. I love these kinds of homes, along with some beautiful daffodils to brighten them up! 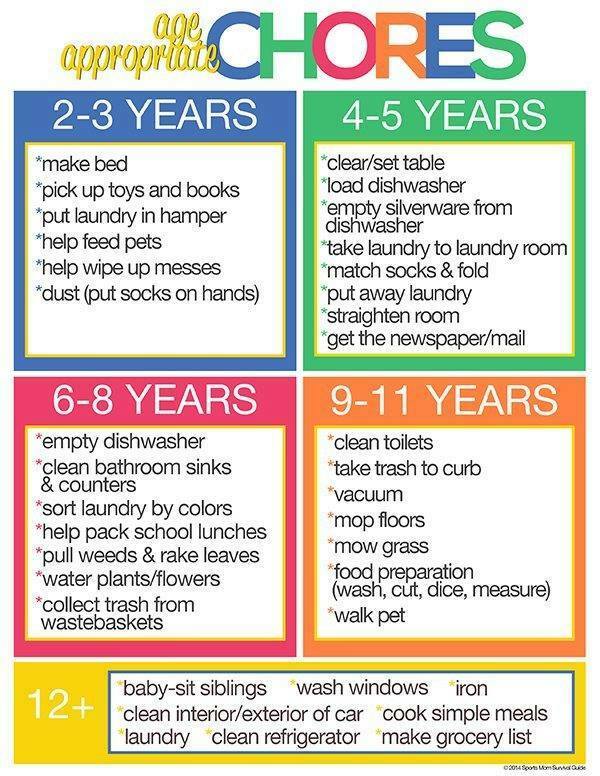 ***Here is a good chore list that is age appropriate to begin teaching your children from the time they are young. They will appreciate it when they are grown up with self-discipline, clean homes, and are hard workers! Did My College Education Make Me a Better Wife or Mother? 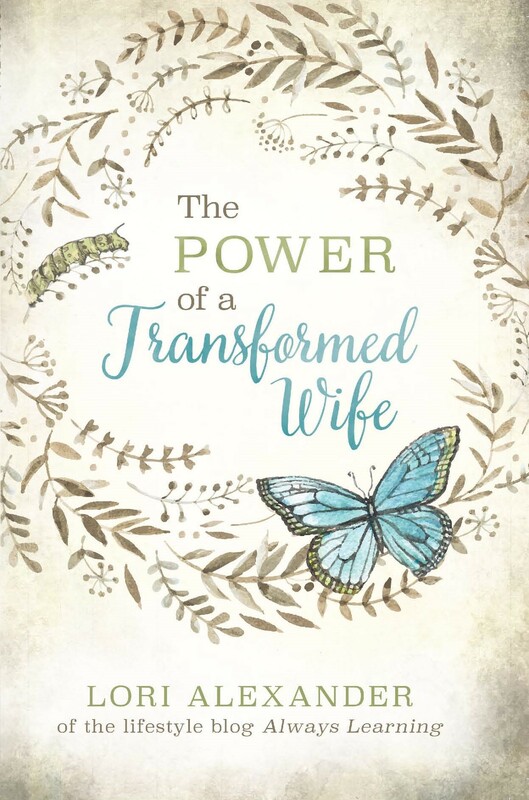 Prisoners In Our Homes and Marriages? Good post, Lori but I’m wondering why you say the above as it’s a bad thing? I would say that it’s way more important to spend time with your children than it is to have a clean home. Yes, Anna, this is what you hear from our culture but not from the Lord. He commands younger women be keepers at home, look well to the ways of their household, and not eat the bread of idleness. Way too many children are being played with and entertained so much that they have not learned how to be hard workers so they grow up with an entitlement attitude and continue to seek pleasure instead of working hard. It is doing a grave disservice to children to not teach them to be hard workers and for mothers to model it to them. I so agree with you, Lori. You know, all work does not have to be drudgery. Many hands make light work as the saying goes:) Mom is cheerful when the house is clean and the children are more calm. Another benefit is now that my children are older teenagers and getting married, they have started seeing their friends houses and so appreciate how our home was always tidy and they were never embarrassed to bring friends home. Tidy as you go and it is never “overwhelming”. Anyway, I actually think an orderly home is a gift to your children. It is, Shelley! Children love boundaries, order, routines, and structure. It is a good and healthy environment to raise them in. I always feeling guilty because I keep a clean house, but feel like I’m never spending enough time entertaining my kids. Your post is so helpful to hear, and a good reminder to keep training my children instead of giving into societies ideas of how to raise kids today. God cares a lot more about us raising godly offspring than He does about them being entertained, even by us, Ginger. Training, teaching, and disciplining them take a lot of time and energy. My children were very good at learning to be creative and entertain themselves which is good! I had to chuckle when I read this. I see moms with their children dressed to the nines and poor dad walks around with wrinkled shirts and shoes that need a polish badly. Too many homes have no routine and there’s way too much “stuff”. If the kids pitch in; there’s usually time for both. One of my daughters shoots hoops with her son when all of his homework is done and his room is clean. A win-win situation and also making good memories. A place for everything and everything in it’s place. Work that piles up gets out of control and becomes a drudgery. I agree, Maria, and very good advice! Routines and less stuff is good for us with our children pitching in. Incentives are a great way to encourage children to help too. We definitely used them! I love this post, Lori! I, too, have wondered why we all of a sudden started glorifying sticky floors and dirty tabletops. Yuck! It’s part of our depraved culture, Lauren, and to glorify depravity instead of obedience and what God calls us to do. Lori, having my home clean and tidy is important to me because I seek to have my home a haven of peace and rest. Orderliness is important to me and my husband. That may not be the case for everyone. I understand what you are saying about messy homes but I truly believe that God cares more about the beauty of our hearts than the cleanliness of our homes. You are right, Gina. He cares a lot more about us having clean hearts that we receive when we believe in Him but then He wants us to obey Him. We must never forget this as many are prone to do today. “And whatsoever ye do, do it heartily, as to the Lord, and not unto men” (Col. 3:23). This includes being a keeper at home since this is what He has called us to do, so we don’t blaspheme the Word of God. I am not a perfectionist with my home but I do try to maintain an level of peace in my environment. I try to think of it as bringing peace to my family instead of housekeeping as the mental shift makes it easier for me to see value in it. I have also found that my sons can understand taking care of our home and bringing peace and order to it much easier than calling it chores. Simple mindset changes can work wonders! Thanks for this reminder of the importance of bringing that peace and beauty into our homes. I currently have a newborn so the bulk of this has fallen on my husband and sons the last while but I find that I’m actually looking forward to when I’m able to start picking up the pieces again. I agree, Tessa! God is a God of order and beauty AND peace so if we understand that by keeping our homes clean and tidy, we are contributing to what God values then we become motivated to keep on keeping on. Renewing our mind is what transforms us! It’s better to teach children “NO” from a young age so we don’t have to get rid of what we value and don’t have to worry about our children destroying them. It sounds like you have done a great job of training your children, Courtney! I absolutely agree with the “No” statement. When my son was younger, I had a few moms tell me that they had to pack away their whatnots and collectibles and I just thought, why don’t you make the child leave them alone? I honestly believe that some of what is wrong with today’s society is that parents don’t want to say no to their child. Or maybe it’s because they are just lazy parents and it’s easier to put things away than to teach the child, but you are doing a disservice to that child. That child needs to learn “no” and that you don’t always get what you want. Our son is in college now and he’s also working around 30 hours per week. He still lives here and he had started letting his room get really bad. I fussed at him about it and it did no good, so finally I gave him an ultimatum. Yes, he’s technically an adult, but he’s living in our home and his room will be kept clean. I told him that he could either keep his room clean or he could pay me to do it. I was thinking if he had to part with some money it would change his mind, but nope, he chose to pay me. That one kind of backfired, but oh well, I just use the money to pay on some credit card debt. I try to keep a schedule (I am slightly OCD), but my MAIN goal is to have housework done when my husband is home. I used to not do this, and when he was home I would be upset about this or that needing to be done. Finally it dawned on me that if I make sure it is all done before he gets here and before the weekend, I would be happier. So, now I clean the whole house most of the time on Mondays and on Fridays I hit the high spots again (vacuum, sweep, clean bathroom) so that my house is good on the weekends and I am not stressed about it. I am definitely a “planner” type person and because I tend to get sidetracked and if I don’t have a list, I can get caught up in doing other things and never get finished. There’s definitely a balance. You can have lots of time with the kids, that doesn’t mean the house has to be a total disaster. I’ve always had the clean and pick up as you go philosophy as some of the others mentioned. Good post. I don’t like the messy home pictures either. Do any of you ladies who keep your homes nice and clean have tips for us new mommies with kiddos too young to do much helping? I have a 3 month and 2 year old and my 3 month is very fussy like my first was and I find it very difficult to maintain a clean home all the time since I’m constantly trying to quiet the 3 month and run after toddler. I cook everything from scratch all the time which takes time away from cleaning. sighs Trying to do it all can be tough with tiny ones, but would love tips from older, wiser mommies with more experience! All of that to say, how to maintain a home when YOU are the only one cleaning it! My 2 year old picks her toys up and helps me with chores, but nothing major at this point…more getting her feet wet and training her. 🙂 Thanks! I think it’s absolutely shameful. My daughters are young, and they all make their beds every morning, they all help fold and put away laundry, do dishes, clean windows, dust, etc., and our home is always a peaceful, restful place to be. I am surrounded with friends and family members that say things like, “our house just looks lived in,” or “I just wear shoes in the house so I don’t have to walk on my dirty floors…”! Anyway, it’s very refreshing to read your blog and see you speaking truth to younger women like me, and to hear affirmation that I am right where God wants me to be. 🙂 Thank you!